This video tip is about how to follow-up to nurture your list. It’s one thing to build a list but it’s another thing to nurture the people on your list so that you are building relationships. Most people buy from people they know and since you are marketing on the Internet, most of those people on your list don’t know you yet. The follow up process is strategically designed to help them get to know you so that when they are ready to buy, they will think of you! Watch this video for some tips on how to do your follow-up. What are you doing to follow-up with your list? Tell me in the comments below. Do you blog? Many coaches tell me they don’t have time to blog. Or they don’t know what to blog about. Or they aren’t getting anyone to read their blog. When I started my online business, the first tactic I used was blogging. And there were two good reasons why I did it, and why you should be blogging. 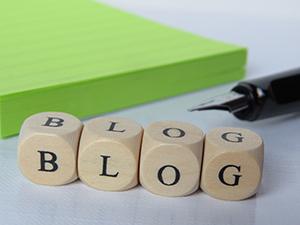 How does blogging increase your page ranking? So if you post a blog once a week—or even once a month—your site will come up higher on the searches. Now, another thing that will also help increase your page ranking is to use keywords in your blog posts. Have a set of keywords that you can draw from whenever you write a blog. Guest Post: Is Dementia / Alzheimer’s Hereditary? If one of my parents or relatives has dementia, will I have it too? For over 20 years working with the dementia population in assisted living facilities, I have noticed that the biggest concern of the children of a family member diagnosed with dementia / Alzheimer’s is if the disease is inherited. Even though it was difficult for them to see their parents decline, family members were very concerned with the fact that it’s possible that when they are older, they may end up in the same situation as their relatives, suffering from dementia/Alzheimer’s disease. Studies have shown that when you have someone in your family with a chronic disease, such as diabetes, attention deficit disorder, high blood pressure, obesity, or poor diet, it’s a big probability that you may also end up with the same condition due to your family genes. Unfortunately, if you have a family member with severe memory challenges, such as Alzheimer’s disease or dementia, you have a higher risk for memory problems. Those who have a parent or sibling with memory issues are 3.5 times more likely to develop similar symptoms. * Genetic testing is suggested if this is the case. Read the rest of this post, “Is Dementia or Alzheimer’s Hereditary?” by Luz Jaramillo, by clicking HERE. Please Note: We only accept guest posts by IAPLC members. Let’s continue to explore Brendon Burchard’s 10 business building blocks for an expert empire. This is what we call your target market or who you are going to serve. Many new coaches try to resist this by saying that they can help anyone. But as Brendon says, you do not have the time nor resources to market to the entire world. There is a group of people who needs and is willing to buy your services, but in order to find them you need to define who they are. Only then can you create effective marketing that will draw them to you. Your definitions of your target can include demographics, psychographics (mindsets), and motivational metrics. Motivational metrics include things like are they actively searching for a solution, how urgent is their need, and what other options are there for them. Learn how you can use LinkedIn to get ongoing leads every week. Have you tried this feature on LinkedIn? If so, how did it work for you? Leave a comment below. Please Note: We only accept guest posts from IAPLC members. Did you know that going to live events can be a powerful technique for building your confidence? Find out how in this video tip. Do you like to read? My coach told me once that a leader should be expanding his or her knowledge all the time and a good way of doing that is through reading books on your topic. I love to read and I’m always reading books about business and marketing for the solopreneur. 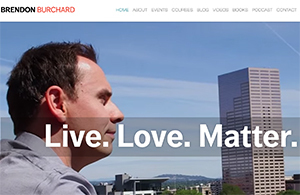 One book I read recently was Brendon Burchard’s “The Millionaire Messenger.” (click to get a free copy) He wrote it a few years ago and I got so much out of it that I wanted to share some points he makes to inspire you to read his book. One of his chapters gives his 10 steps to building an “empire.” These are very helpful to know if you are a new coach. But if you are a seasoned coach who needs more clients, it’s helpful to revisit these steps periodically to refine your marketing. I will do a series of blog posts on each of his 10 steps. Have you been procrastinating about making videos for your tribe? Here’s a video on how I keep up a schedule for making videos.